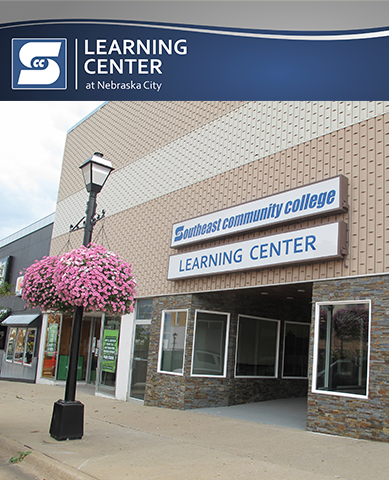 Southeast Community College’s Learning Center at Nebraska City offers educational and training opportunities to the community and surrounding area. Credit and non-credit classes are offered each term. The Learning Center offers test proctoring, placement testing, face-to-face classes, distance learning as well as our newest class delivery option, which is via robot! These formats all allows students to collaborate and communicate with instructors and classmates. Student services are accessible from the Learning Center including: Admissions, Financial Aid, Career Advising, Registration, Transitions, etc. Mon. thru Fri. 10:00 a.m. – 5:00 p.m.
Open evenings and weekends based on class schedule.